Afghanistan's aggressive opener and wicket-keeper Mohammad Shahzad is one of the most astonishing batsmen in the cricket world. 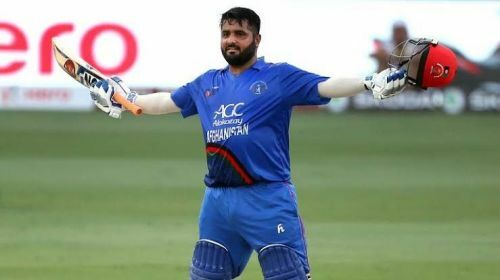 The batsman has been a key figure in Afghan line-up has etched his name in the history books for several memorable and entertaining performances. Meanwhile, his most recent dalliance with the record books against the Men in Blue in the Asia Cup, when he played a crucial role to deny India an easy win. The opener scored swashbuckling 124 to led his team single-handedly to a good score. Most recently in Afghanistan Premier League 2018, Shahzad was named skipper of Paktia Panthers and convincingly guided his team to the semi-final, before losing out to Rashid Khan's Kabul Zwanan. Shahzad played a crucial role in his team's success and was termed as the best batsman of the tournament. The opener ended as a leading runs scorer with 344 runs at an impressive average of 43, while striking the ball at 173.6. 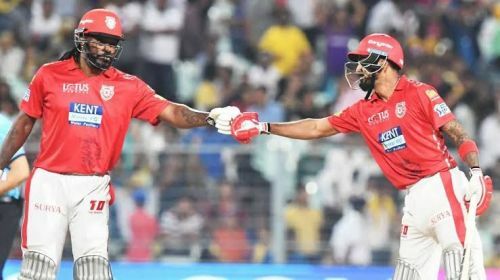 With IPL Auction 2019 not too far away, all the franchises have already begun their work by releasing their underperforming players and are now in search of those who can convincingly replace them. So, without much ado, let's take a look on three teams that might be in contention for Mohammad Shahzad during IPL Auction 2019. Kings XI Punjab had a kind of rollercoaster season last time out even though they were favourites to clinch the title at the halfway stage. But Kings XI lost their way afterwards as they managed just one win in the second half resulting in disappointment for the team and fans. The team seemed overdependent on Lokesh Rahul and Chris Gayle. They missed the services of a top order batsman, who can support these two and score runs at a brisk rate. As the other batsmen in the side, including Yuvraj Singh, Manoj Tiwary and Aaron Finch (all released), failed to live up to expectations and left these two, with a lot of work to do. This is where Mohammad Shahzad will fit the bill perfectly and might be an ideal replacement for Finch in overseas quota. He is an explosive top order batsman, who can keep wickets as well. If selected he could be seen opening the batting with the Chris Gayle. This will eventually relieve the unnecessary burden on KL Rahul, who currently performs wicket-keeping duties. Having been their most successful batsman last season, this will help him focus solely on his batting.